Valérian Chambon recently joined the Institut Jean Nicod as a junior researcher (CR) in cognitive neuroscience. 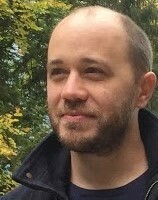 His research interests focus on action control, action phenomenology, fMRI and computational modelling. V. Chambon has first investigated the implementation of cognitive control in the prefrontal lobes, before gaining interest in the relationship between cognitive control and human agency, i.e. in how individuals explore and exploit environmental changes to make decision about their own agency, and to adjust their behaviours accordingly. V. Chambon has also investigated the contribution of premotor fluency (i.e., the subjective experience of ease associated with planning an action) to the sense of individual agency, combining psychophysical analyses of human choice behaviour with non-invasive recording of human brain activity (fMRI) in both healthy and psychiatric participants (schizophrenia, autism spectrum disorders). In collaboration with Elisabeth Pacherie, Valerian Chambon is currently developing a theoretical and empirical framework to better understand the dynamics of learning in social situations, and to capture the phenomenological properties of joint actions (i.e., “joint agency”). He’s also interested in the basic computational mechanisms underlying the sense of instrumental causality. V. Chambon plans to elaborate on recent advances in computational modeling to build a new theoretic model of causal inference, which can account for the influence of various informational metrics to causal inference (mutual information, value, variability) in open-ended environments. Finally, using model-based fMRI, he aims to clarify the implementation of these various metrics in the human brain, in both healthy participants and schizophrenic patients suffering from delusion of control.